Black Friday is a shopper’s high holiday. But are you really saving as much as you can on this day of all bargain-hunting days? We surveyed a number of people, from everyday savvy shoppers to professional shopping gurus, to learn their best Black Friday tips and tricks. Here are 10 tips you can take all the way to the checkout this year. When it comes to snagging the best Black Friday deals, it’s best to think like a Boy Scout (i.e. be prepared). This means not just going through circulars the night before, but coming up with a specific game plan and even doing a little advanced research. As anyone who’s had their Thanksgiving dinner curtailed can tell you, Black “Friday” has crept earlier and earlier into the week each year. Discount devotees recognize this and spring into action before the masses. “The ‘big-box’ stores will have most of their Black Friday sales online on Thursday,” says Michelle Madhok, shopping expert and founder of SheFinds.com. It’s also worth looking outside the holiday season altogether to pinpoint yearly trends. “I did a couple stories when I was in TV comparing ads from mid-October to Black Friday ads, and the mid-October ones were cheaper every time,” says Christina Nicholson, owner of Media Maven. Store sales are only one part of the equation; if you combine those sales with discounted gift cards, you advance to the next level of savings. “For example, with Macy’s gift cards up to 12% off, you can buy a $100 gift card for $88, pocketing $12 to use on other Black Friday deals,” says Meghan Fox, marketing manager for gift card exchange site Raise. Your smartphone is good for more than just venting about long lines on Facebook. Turn it into a shopping tool to boost your savings even higher. “Target’s latest app points you to specific aisles where you can find the items on your list, while Coupon Sherpa provides extra savings from hundreds of retailers,” says Andrea Woroch, a consumer savings expert who’s been featured in segments on “Good Morning America,” MSNBC, CNN and Fox News. “To avoid overpaying, track price drops using TrackIf.com, and then request a price adjustment if you find your purchase was sold for less later in the day,” she advises. Do a quick scan of online prices while waiting in those crazy long lines. If your friends and family are also into Black Friday, consider a divide-and-conquer strategy. “Coordinate with friends,” suggests Megan Hewitt, parenting blogger and owner of Shrimp and Grits Kids boutique in Charleston, South Carolina. And don’t forget the time it takes to navigate those crowded parking lots. Shopping can take a lot out of you physically, and marathon shopping of the Black Friday caliber can easily make you tired and testy, especially if you started in the wee morning hours. Make sure you don’t overdo it at Thanksgiving the night before, and bring supplies to keep you fueled throughout the day. “Don’t shop inebriated or on an empty stomach,” advises April Masini of AskApril.com. Dealing with long lines, harried crowds and stressed-out cashiers can be a nightmare if you don’t go into with the right mindset. So, do what you can to make the day enjoyable. Shop with a friend you haven’t seen in awhile, and use the long waits as a chance to catch up. Treat yourself to your favorite whipped-cream-topped coffee creation to keep your spirits up. Why wait for Cyber Monday when more and more Black Friday deals are going online? 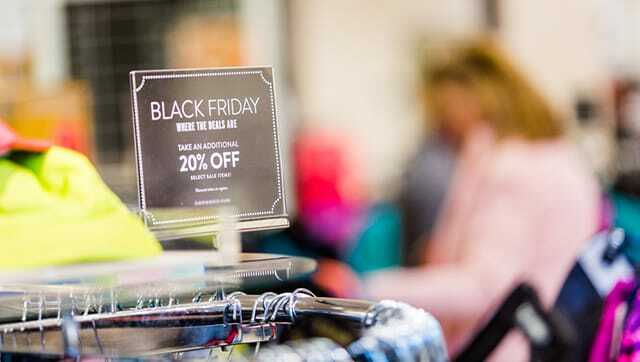 While Black Friday is one of the most hyped shopping days of the year, that doesn’t necessarily mean you have to participate to get the biggest bang for your buck. In fact, we found 12 other ways to make good use of your time rather than hitting the stores. Your Turn: What are your best Black Friday tips? Share them with your fellow shoppers in the comments! Kelly Gurnett is a freelance blogger, writer, and editor who runs the blog Cordelia Calls It Quits, where she documents her attempts to rid her life of the things that don’t matter and focus more on the things that do. Follow her on Twitter @CordeliaCallsIt.